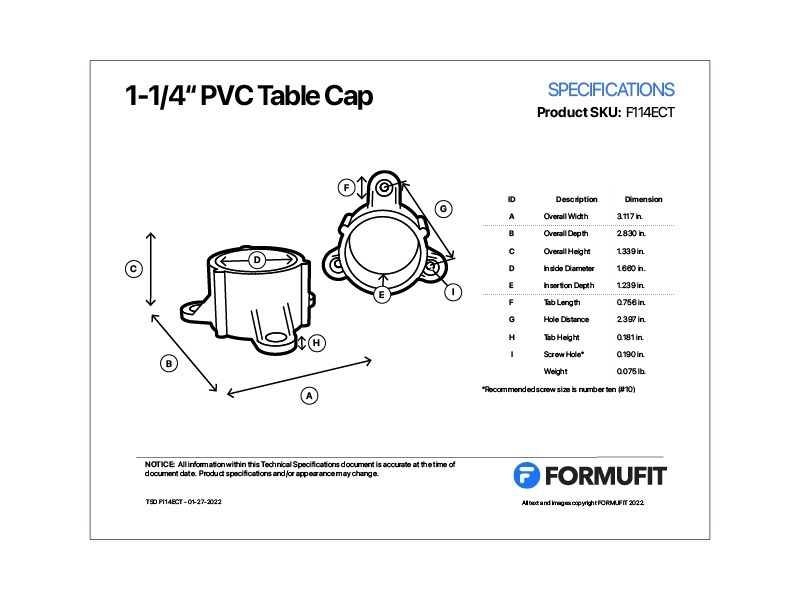 FORMUFIT 1-1/4 in. 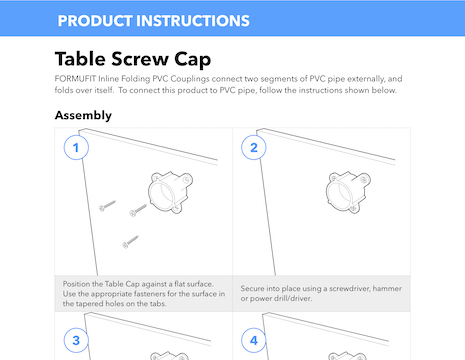 Table Screw Caps are external caps that fit over the end of a 1-1/4" Size PVC pipe and includes holes to attach the cap with fasteners, such as screws or nails to a host of flat surface materials. 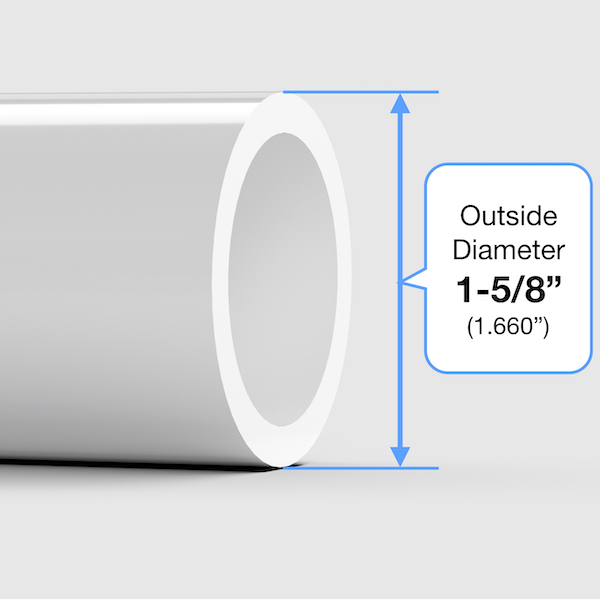 Ideal for tables, temporary handrails and for creating plywood bases.